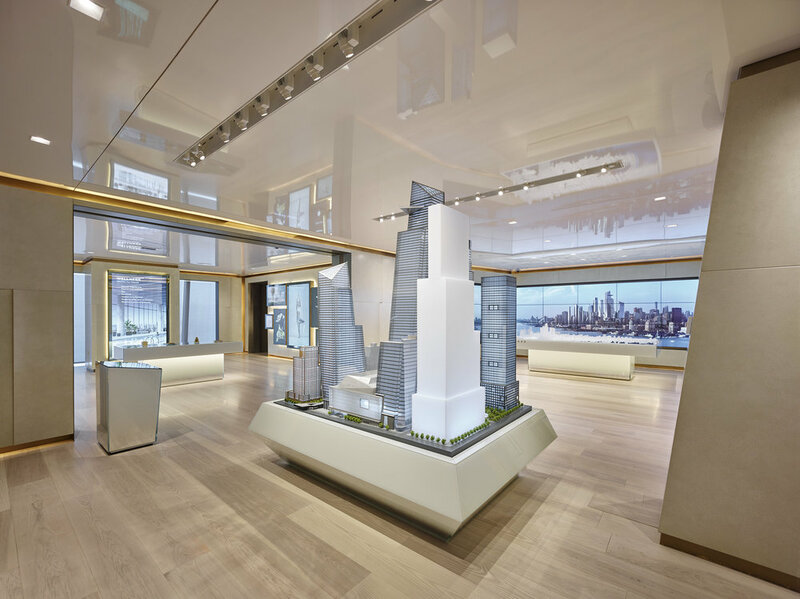 The Experience Center brings the story of Hudson Yards and the neighborhood together with luxurious materials and interactive technology. A collaboration between the LAB at Rockwell Group and Rockwell Group's architecture and interior design practice, the Hudson Yards Experience Center is for the residences at 15 Hudson Yards (Diller Scofidio + Renfro in collaboration with Rockwell Group) and 35 Hudson Yards (SOM). Inspired by its downtown-leaning location, Chelsea’s place in the art world, and views of the Hudson River, Rockwell Group designed museum-like brand galleries containing a series of immersive and interactive experiences that allow guests to engage in the neighborhood and its many parks, amenities, and extraordinary architecture. A dramatic entrance introduces guests to the "Capital of the Cultural Coast." A dedicated Brand Gallery tells the story of New York's first 21st century neighborhood. A digital art gallery is designed for interactive discovery, its custom 3D printed objects unlocking stories hidden in walls. An experiential, 360° immersive room reveals NYC's newest cultural icons with wrap-around, floor to ceiling projections that bring the view to life. Marrying narrative and luxury design, the Experience Center conveys the story of Hudson Yards: an extraordinary, cutting edge neighborhood where New York's future is being crafted by a diverse and growing community. The layering of materials, texture, interactive technology, and craft enhances the Experience Center's feeling of discovery and wonder. 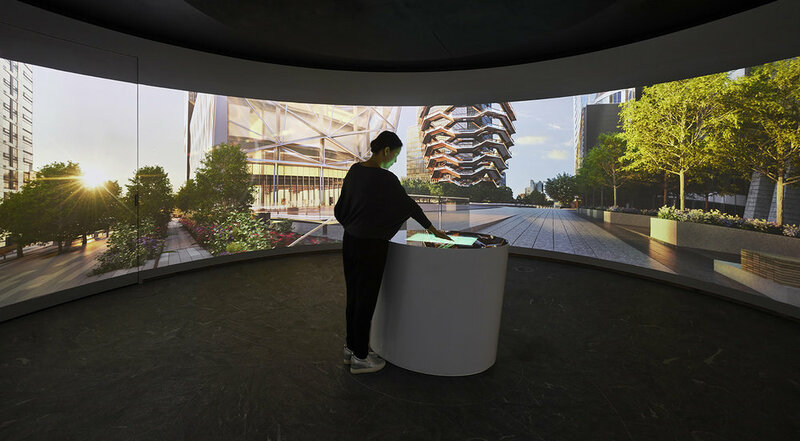 The Hudson Yards Experience Center brings a neighborhood to life before its materialization through the marriage of storytelling, interactive technology, and thoughtful design.